Technology is an essential component to today's military. That technology, however, must be rapid, reliable and durable, particularly during complex or rigorous operations where stakes are high and precision is crucial. Winmate's Military Series of panel PCs and displays aredesigned to be industrial grade, and undergo rigorous testing to ensure safety and performance, going beyond military standard compliance. Built to survive drops, shocks, liquid spills, vibrations, dust, salt, and extreme temperatures, our specially designed military line of products has also been tested for MIL-STD-810G environmental and MIL-STD 461F EMC standard. Our panel PCs and displays also come with MIL-DTL-38999 type I and III connectors – high-performance cylindrical connectors for cable-to-panel I/O applications in military, air traffic controller, or other mission-critical situations. 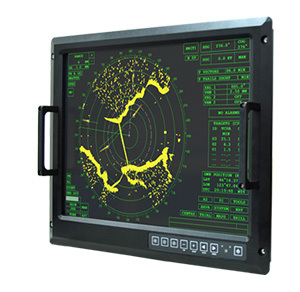 The high-resolution display is both fully rugged offering optimized visibility with optical bonding, and easy-to-use OSD front panel controls. The advanced computing platform enables faster searches and real-time positioning information, providing rapid-response capabilities for times when a regular PC just won't cut it.